When you file for personal bankruptcy, the record of that bankruptcy will remain on your credit report for up to 10 years after the case ends either by discharge or dismissal. A discharge means that all debt included under the bankruptcy plan has been discharged; a dismissal means that the case has been thrown out of court. It’s always best to get a discharge of all debt so you have a debt-free slate to start raising your credit score. Getting financing for an recreational vehicle after bankruptcy can be difficult, but is possible. Build a credit history. Before seeking out financing after bankruptcy, it’s important to start rebuilding your credit history. Apply for either a pre-paid credit card or a low-credit-limit credit card (usually around $500) with your bank and start building up your credit history with that institution. Charge a small amount on the credit card every month and pay it off in full--never carry a balance. This helps build a credit history with your bank or credit union. Also make sure all utility and mortgage bills are paid on time, in full. Put aside money for a down payment. The more money down you can put down on an RV, the less money you’ll have to finance and the lower your financing payments will be. If you’ve already filed for bankruptcy, a bank or credit union may be more willing to give you financing if you can show that you have a large down payment saved up. Apply for financing with your bank or credit union. It can help to apply for financing from the same institution where you have your credit card. That way, the bank or credit union can look back at your payment history instantly and see that you’ve built up a good repayment record on your credit card. They will also check your credit report. Take their financing offer and put it to the side. Apply for financing with another institution. Before signing anything with the first institution, get another financing estimate. Compare both estimates’ monthly payments, payment term and interest rate before choosing the best financing for your RV. Lynn, Jackie. "How to Find Financing for an RV After Bankruptcy." 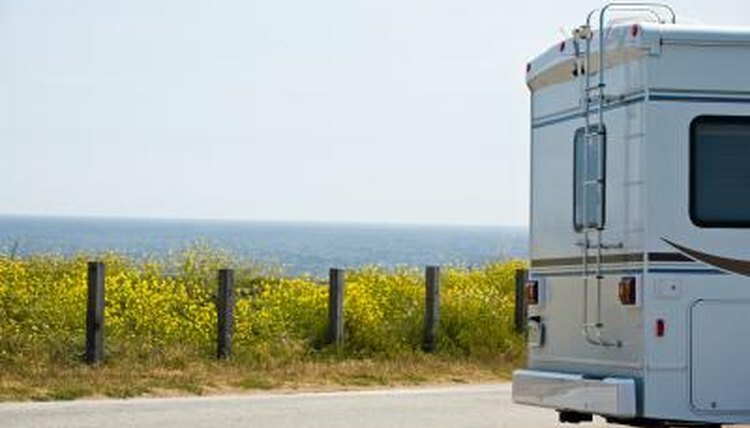 , https://legalbeagle.com/5811168-financing-rv-after-bankruptcy.html. Accessed 21 April 2019.